Feeling this guy's style a lot. 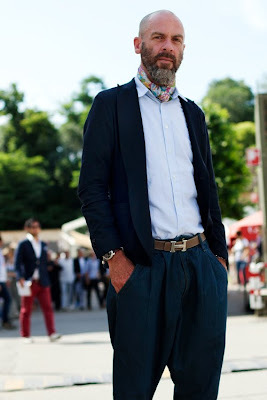 I think silk scarfs are one of the only cool, flowing accessories a straight man can get away with. I haven't personally found a way to do it yet where I feel 100% comfortable but I'm getting there haha. Scott specifically pointed out this dude's pants and I agree the cut is fresh. He just looks real cool and stylish.